June 1, 2018 | Stavros Halvatzis Ph.D. IT happens to all of us at some point or another. We set out to make a certain character the Hero of our story only to have him turn into a wimp by the end of the tale. Here, curtesy of William M. Akers, are some suggestions to avoid this happening to you. 1. Heroes have well defined problems—-something they need to solve to win the prize, save the earth. But in order to do so heroes have to learn things about themselves, which may be even harder than the physical obstacles they encounter. The physical barriers that heroes face are often reflections of the inner fears and thresholds that they have to overcome in order to achieve the outer goal. 2. Heroes are active. They may be aided and abetted by a bevy of allies but they are the ones who initiate actions, reach for the goals and never quit until the bad guys are defeated and the goals achieved. 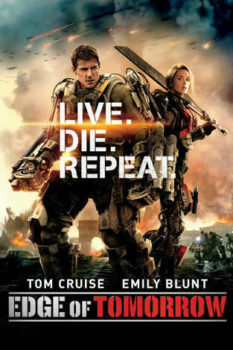 In Edge of Tomorrow, Tom Cruise keeps coming back to life again and again in an attempt to defeat the Mimics. 3. The Hero’s problem must be absorbing to an audience. The bigger the stakes, the more interesting the plight. In Breaking Away, the hero struggles to discover whether he is a bike rider or a stone cutter. This may not be much of a problem for you or me, but it is a problem for this particular character. Since we identify with the hero, we, too, desire that he solve it, and that he do so in an intriguing way. 4. Heroes must be steadfast. Aimless, unfocused Heroes who drift in and out of fuzzy situations are best left for art films with niche followings, because they will not prove widely popular with mainstream audiences. These, then, are some of the characteristics that define the Hero in your story. So, when is your Hero not a Hero? When he turns into an aimless wimp. Heroes are active problem-solvers whose actions drive the story forward. They are leaders not followers. This entry was posted in On Character and tagged amwriting, Heroes, Ian1, novel, novelist, screenplay, screenwriter, writer, writetip on June 17, 2018 by Stavros Halvatzis. If brevity, clarity, simplicity are important in specialist writing, they are crucial in a screenplay. 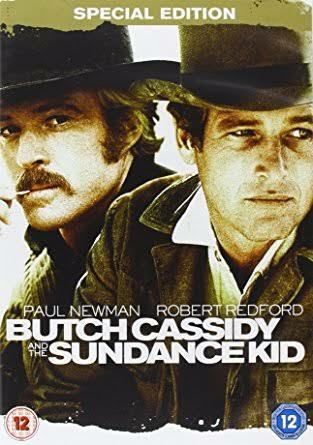 Butch Cassidy and the Sundance Kid is full of laconic one-liners that crisply capture the essence of the characters. Hollywood has a notoriously short attention span. Readers have to wade through dozens of new screenplays daily, and their tolerance for poorly worded stories is short. Of course, Hollywood is not the only place to peddle your screenplay, but if you’re looking to play the Lotto, there’s nowhere better. Let’s look at two aspects of tight, vivid writing in screenplays: the use of verbs that capture the essence of character in the action block, and the use of metaphor in character descriptions. 1. Benjamin looks at the girl standing opposite him. How does he look at the girl? Does he frown, gaze, leer, glance, squint, or peer at her? 2. Claire enters the room. This is inadequate. How does Claire enter the room? Does she stride, limp, march, slink, flow, or pad in? How does she stand? Is she slouching, leaning, erect? Never miss the opportunity to have a verb convey the personality and attitude of your character. Not only do you void the need for adverbs, you make your sentences crispier and more vibrant. Character descriptions in screenplays, too, should be brief but impactful. Because they influence how we view the character, they should be crafted with care. “A well-dressed John Flyn pads into the room. He is strong and graceful, with a feline quality that suggests a strength and agility that comes from years of training.” Too wordy. 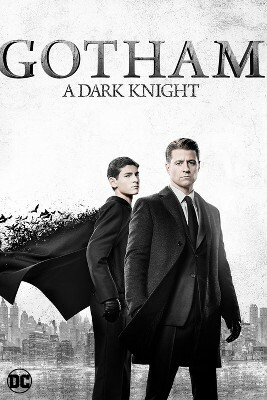 “John Flyin pads into the room, a panther in an Armani suit.” Better. Appropriate metaphors enliven character description and eliminate unnecessary words. Use brevity, clarity, simplicity in describing your subject. Where appropriate, use metaphors to capture your character’s essence. This entry was posted in Story Design, Story Structure and tagged amwriting, Brevity clarity simplicity, Ian1, screenwriter, writer, writers, writetip on June 10, 2018 by Stavros Halvatzis. ONE OF THE HALLMARKS of accomplished writing is how well the writer uses character traits to generate the hero’s outer and inner journey in the story. Which is to say: How well does the inner journey support the visible events of the plot? One way is to relate the hero’s arc to the antagonist’s character traits. We are reminded from previous articles on this topic that, typically, a character has four or five traits — mostly positive but one or two negative for a hero, and the inverse for an antagonist. This allows the writer to tie the hero’s inability to achieve the goal to his negative trait by allowing the villain to exploit it. Not only must the writer present clearly defined traits to drive the developmental arc of his hero, he must relate that arc to the antagonist’s actions, too. But, by the end of the story, the tables turn. Schooled by experience, the hero is not only able to dig deeper and unleash the power of his positive traits, but he can identify and use the villain’s own weakness against him, too. This is a one-two punch combination that gains the hero his goal by allowing him to knock out his opponent. 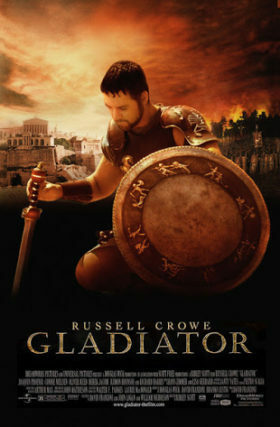 In Gladiator, Maximus is able to muster his remaining strength and slay the usurping emperor with his own sword. In so doing, he fulfills his promise to revenge his family and keep Rome safe from all enemies, including tyrants. He is able to manifest his inner strength, which stems from moral fortitude and loyalty, as physical strength, and use it against the villain’s own weakness: Had Commodus not been an egoistical coward determined to show Rome that he could defeat the world’s greatest gladiator in the arena, he might well have lived. It is this combination, this conflict between the hero’s and villain’s traits, that allows the final showdown to resonate with irony, tension, and a sense of justice. The result is a powerful and memorable story skillfully rendered. We would do well to emulate this in our own writing. Use your hero’s and villain’s warring character traits to drive the story and integrate the inner and outer journey events. This entry was posted in On Character and tagged Character traits, traits on June 3, 2018 by Stavros Halvatzis.